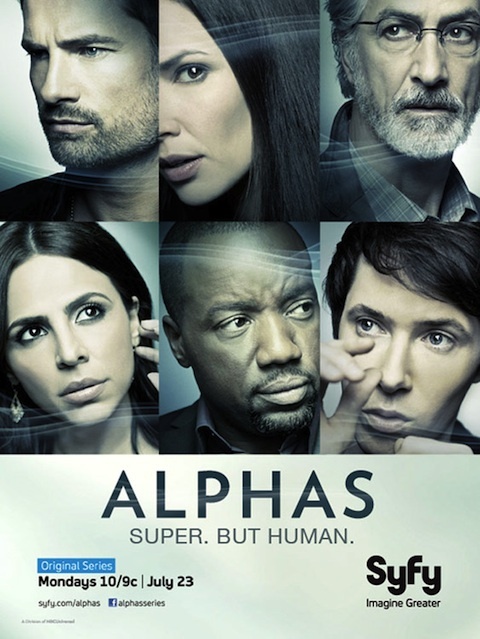 Syfy's super drama series Alphas is set to return in less than a week. If you've seen the trailer for the second season, you're already clued in to the big things ahead for the series. Syfy released a new look at Season 2, which has a pretty dramatic and action-filled Alpha moment taking place in a supermarket. Word is out about the Alphas! The truth about super-humans has gone public, which is likely to change the face of reality within the Syfy series. This video shows an incident that goes down in a supermarket where Harken appears to be set up and waiting. We see his ability kick in when stuff starts to go down. Will he drop it? We'll have to wait and see, but there may not be anything left of that supermarket when all is said, done and destroyed! And for those of you who haven't seen the trailer yet, here's the preview for Season 2. There's a whole host of guest stars set to appear in Season 2, including Summer Glau, Sean Astin and others. Check out the list and details on their roles here. Alphas returns for Season 2 on Monday, July 23 at 10/9c on Syfy.